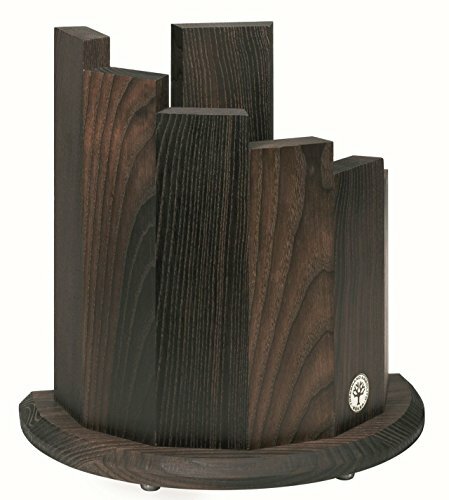 The Boker Wood Magnetic Knife Block is the perfect solution for holding and storing kitchen knives. The seven wooden panels contain magnets that allow knives to stick easily and safely to the side of the knife block. This block is capable of storing seven high quality kitchen knives including larger knives on the seventh panel in the center. This attractive knife block makes it simple to pull the knife you need every single time. 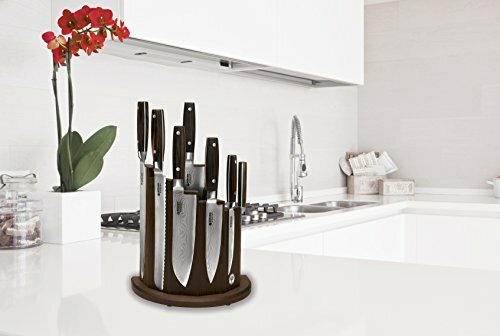 You can display your knives in this attractive centerpiece without hooks or holders. No slots means no trouble cleaning the knife block, which means you can keep your knives clean and free of stains easily. You shouldn’t have to hide your knives. 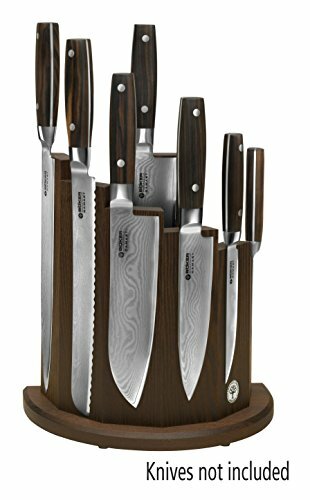 With the Boker Wood Magnetic Knife Block, you can display them proudly to anyone in your kitchen. This block is finished in Makassar Overall dimensions: 11-1/4 in. high by 10 in. wide by 6 in. deep and weighs 2.9 lbs. Limited lifetime warranty. A chestnut tree is the world famous trademark of the Boker knife manufactory in Solingen, Germany. It represents innovative, high quality, exceptional knives, manufactured with pride, by hand, for over 145 years.